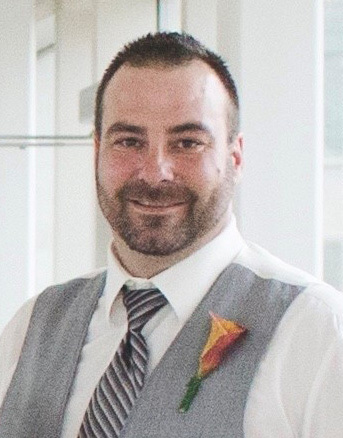 Derek passed away suddenly at the age of 40 in Martensville. He leaves to mourn his daughter, Sophie, who was his pride and joy and her mother, Tina. He is loved and remembered by his parents Ray and Dorothy Hagel; siblings Rhonda (John) Mattern and their children Joshua and Olivia; Charlene (Rob) Grasdahl and their children Brennan (Carla) and their son Jayse, Ryan and Danielle; Dwayne Hagel (Carmen) and his children Tyler, Brandon and Chelsea; and Dale (Michelle) Hagel and their children Ryder and Khloe; as well as numerous aunts, uncles and cousins. Derek was predeceased by his brother Danny just over a year ago. Derek was a known as a Superfan – he thoroughly enjoyed playing and watching sports and supported all his nieces and nephews and especially his daughter in their sports. He thoroughly enjoyed where he was working and was very good at his job. His true passion was the love of his family – Derek had the biggest heart and he will forever be remembered as ‘A Loving Father’ to his Sophie. If you have played a sport with Derek please wear your jersey to the Funeral. A Prayer Gathering will be held at 6:30 p.m. on Thursday, September 13, 2018 at the home of Ray and Dorothy. The Mass of Christian Burial will be celebrated at 10:30 a.m. on Friday, September 14, 2018 at the Cathedral of the Holy Family (123 Nelson Road, Saskatoon). The Rite of Committal will follow at Hillcrest Memorial Gardens. In lieu of flowers, donations in Derek’s memory may be made to a Trust Fund for Sophie Hagel at the Bank of Montreal (at any location). Arrangements in care of John Schachtel - Mourning Glory Funeral Services (306) 978-5200.